I am one of the most trusted content providers online! With over 500,000 dollars of Articles SOLD this year alone and over 20,000+ Clients served! We have a promo going on in our gig extra's below, check it out! Written by American & Canadian Writers. On time delivery or your articles are FREE! You cannot split a 400 word order into multiple smaller articles. Please do not upload/link to videos in your order. DON'T WORRY ABOUT ORDERS IN QUEUE! 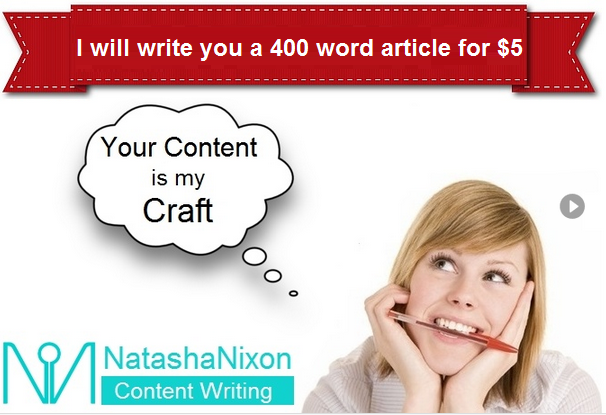 I will write a 400 word article is ranked 5 out of 5. Based on 85 user reviews.